Today I went to check on the house and got to drive through some pretty thick snow. Vlochka, my Discovery, really has her use sometimes. 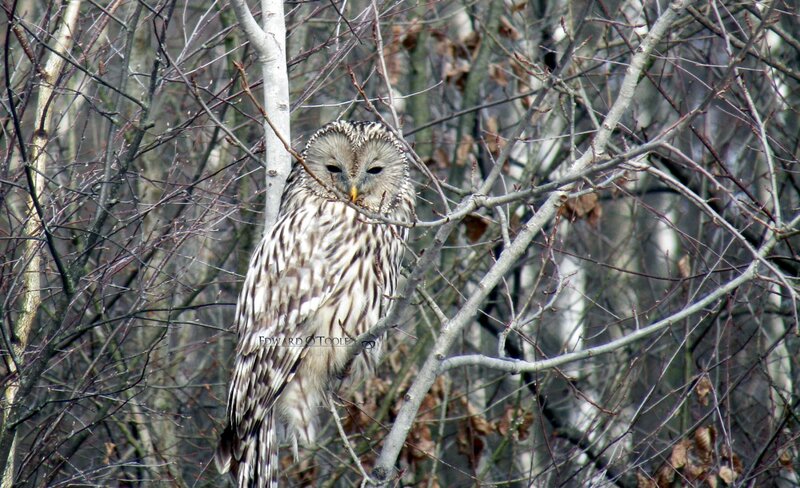 On the way home I spotted a Ural owl just sitting on a branch about twenty feet from the road. For once, the sky was vaguely blue and the bright reflection from the surrounding snow must have played havoc with the owl’s eyes. 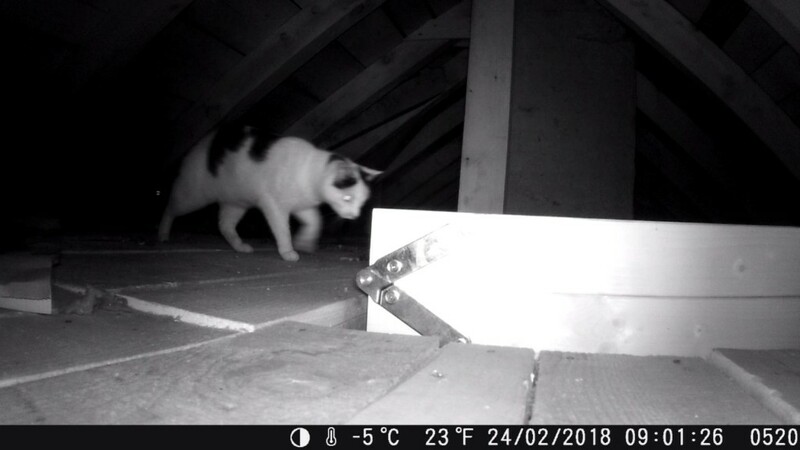 Following the spate of bad luck with the trail cam after finding wolf tracks (those featured on the current issue of Bushcraft Magazine) – hunters in the area and then lumberjacks cutting trails into the forest in preparation for Spring operations, which means zero chance of a wolf being in the area for some time – I decided to put the game camera up in my attic again to see what’s living there. 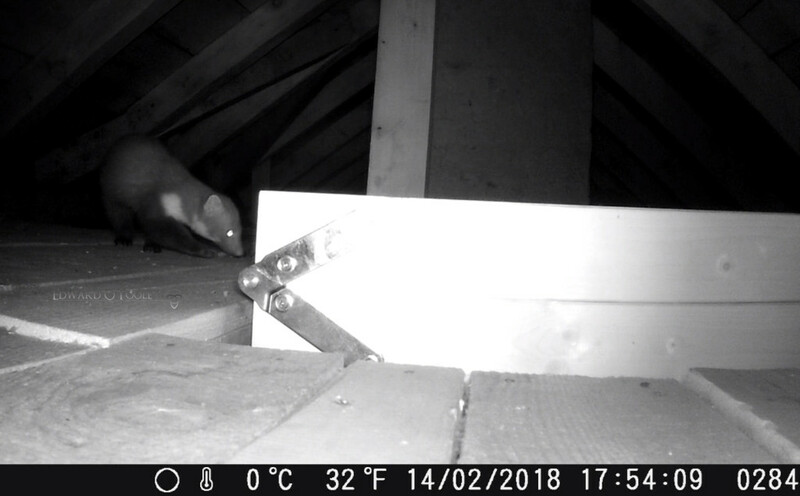 Over a 3 week period it took over 600 photos, 99.9% of which were useless because the IR light reflected off the door/ladder which was up close. I had lots of videos of eye reflections back in the darkness but they were unusable. We’ve also got a new regular visitor, a feral cat, which means I don’t have to put poison or traps down for the mice. It also saves me getting a cat. 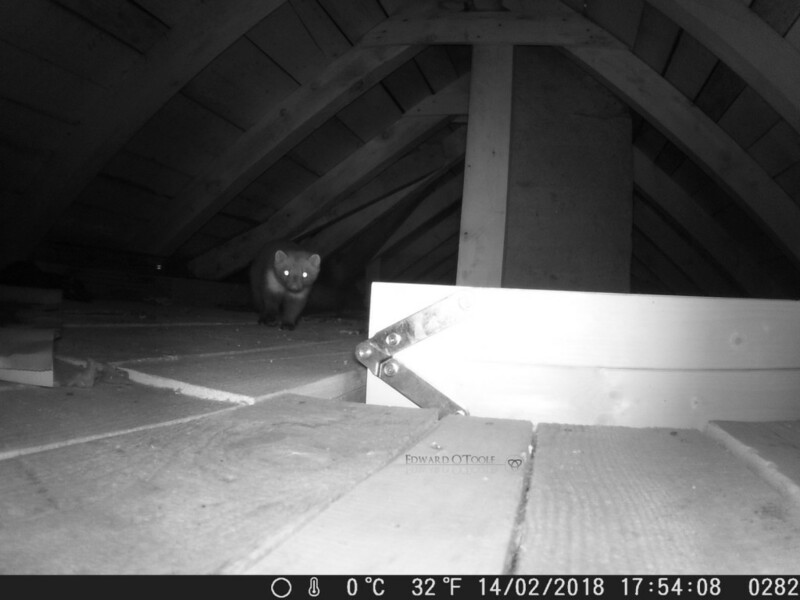 The cat gives a good size comparison with the marten. 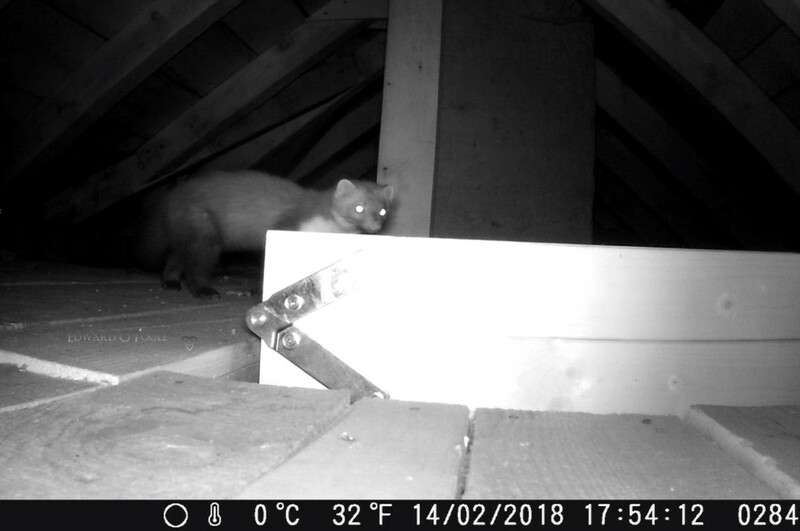 They’re both the reason why I haven’t had any footage of our usual edible dormice.